In 1966, after more than a quarter century in obscurity, the Dominica-born British author Jean Rhys published what is now considered to be her masterpiece. 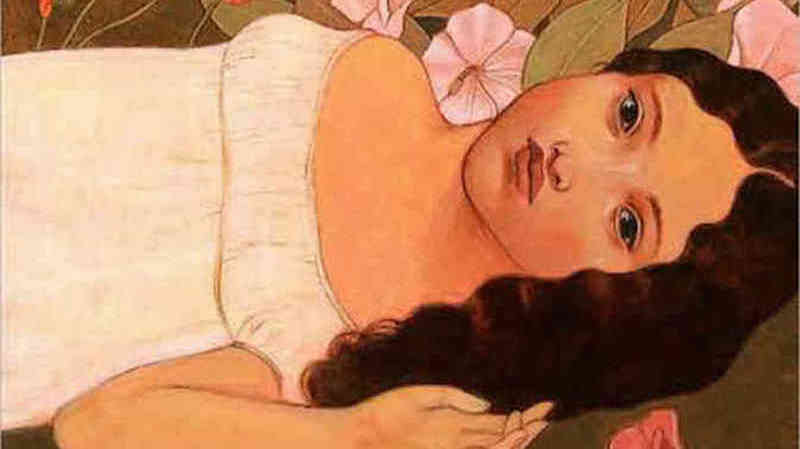 Wide Sargasso Sea is an astonishing, hallucinatory fantasy about the early life, and eventual psychological disintegration, of the first Mrs. Rochester—aka Bertha from Charlotte Brontë’s Jane Eyre. Both a prequel and a postcolonial response to Brontë’s 1847 novel, Wide Sargasso Sea begins in Jamaica in the aftermath of the 1833 Slavery Abolition Act, which ended slavery in the British Empire. The protagonist, a creole heiress named Antoinette, tells of her life from childhood to her arranged marriage to an unnamed, and increasingly cold Englishman. Wrenched from her Caribbean home and subjected to a life of isolation and cruelty in an alien land, Antoinette—whom he renames “Bertha” and confines to a locked room in Thornfield Hall—descends into madness. 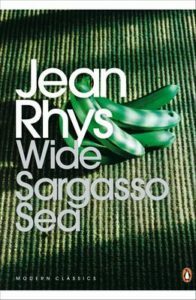 The release and success of the book prompted a huge revival of interest in Rhys’ work and today Wide Sargasso Sea is considered to be one of the greatest novels of the 20th century as well as a foundation text of Postcolonial literature courses around the world. “You can pretend for a long time, but one day it all falls away and you are alone. 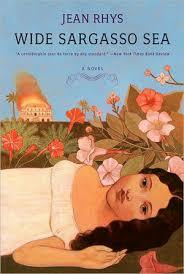 “…Miss Jean Rhys’s novels of several decades ago are now to be republished. 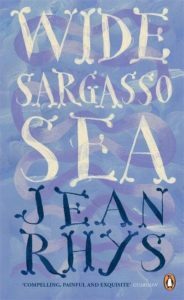 Meanwhile, as a foretaste of their haunting brilliance, we have Wide Sargasso Sea, which Miss Rhys, taking up her pen again after a long silence, has just completed. “The only connection with Jane Eyre is thus that Miss Rhys has appropriated two of its chief characters, and evoked their youth: for otherwise there is no resemblance at all to the art of Charlotte Brontë—indeed, it would be hard to imagine a stye and mood more different. For Miss Rhys, herself a native of Dominica, has evoked the tragic beauty that she sees in the blasted paradise from which she originally came. “Miss Rhys, indeed, has so much the gift of penetrating psychological motivation, and of intertwining her characters with their ominous setting, that the total effect is imaginative, not realistic. And so lucid yet pictorial is her style, and so revealing her dialogue, the the reader is forced into the nightmare world with which she enfolds him. “…Miss Rhys has been haunted for many years by Charlotte Brontë’s Jane Eyre. It is not Jane herself who interests her but Mr. Rochester’s insane first wife, Bertha Mason, whom he married in Jamaica. This book is Miss Rhys effort to fill in the unfortunate woman’s past. 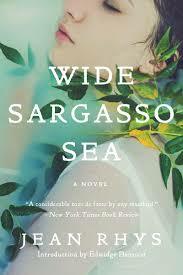 “Wide Sargasso Sea is not just a great novel, it is many brilliant books in one. Multi-layered and complex, Jean Rhys’s prelude to Jane Eyre vividly illustrates how accounts and understanding differ, and creates a sense of the characters’ past being inescapable. “Rhys shows that the movement of the West Indians has not been a progression from colonialism to a racial-political independence, but rather from one form of slavery to another. 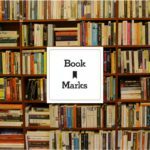 She explores accounts of tensions between written and oral cultures and, through Antionette’s narrative, urges the reader towards an understanding and acceptance of the mad woman in the attic. In my own moments of torment, I am often reminded of Antionette’s passionate and haunting story. Her psychological disintegration and descent towards madness is a journey which ultimately becomes the mirror opposite to that of the wholesome goodness of the innocent Jane Eyre, as depicted by Brontë. Wide Sargasso Sea speaks of the history of cruelty and suffering that lies behind some of the West’s accumulated wealth, a history which in Jane Eyre is secret and mysterious, and only appears in brief glimpses. This is a book that gives voice to neglected, silenced and unacknowledged stories. “Rhys’s triumph is to put a modernist palette to the service of the 19th-century imagination: she lets us see the colours while also demonstrating to us how they appear to Rochester. Published in 1966, this isn’t simply a prequel but a deeply political novel in its own right, in which names echo with a traumatic history that can barely be remembered, let alone mentioned: a town called Massacre, a boy called Disastrous, and Antoinette herself, who is cruelly stripped of her illusions by a husband who insists on calling her Bertha. 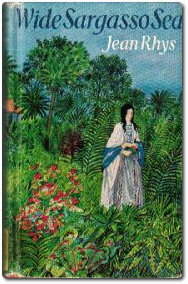 “Christophine is the nearest the novel gets to a presiding spirit: she too is an outsider, who was brought to Jamaica as a wedding present for Antoinette’s mother in the years before emancipation. She practices ‘obeah’ (voodoo) and her motives and loyalties are always mysterious. By concocting a ‘love potion’ to be administered to Edward, she effectively sets up one of the novel’s most devastating scenes, in which he reprises the atrocities of colonialism by casually seducing the servant girl who nurses him back to health, as his drugged wife sleeps in the next room. ‘I looked into her lovely meaningless face,’ he says. ‘ … In the morning I felt differently. Another complication. Impossible. And her skin was darker, her lips thicker than I had thought.’ Has a single word ever been more powerfully deployed than that adjective ‘meaningless’?